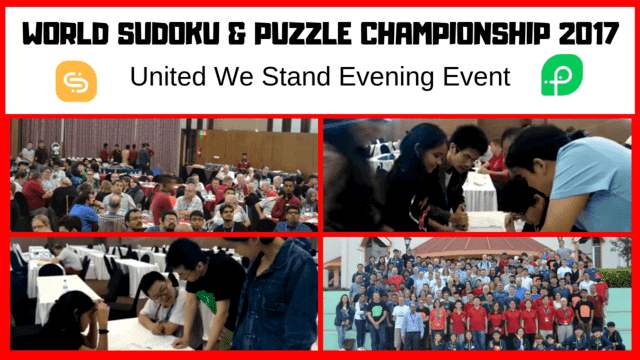 During the 12th World Sudoku Championship and 26th World Puzzle Championship which was held at Banglore, India during 2017, there was some extra event in the night. United We Stand was one such event in which people from different countries have to work together to solve language specific puzzle. 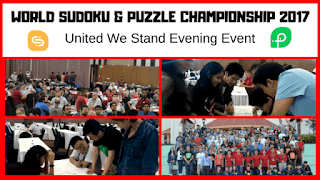 Many different #puzzle creators across the world contributed to creating puzzles for this evening event. Watch this video to see how participants solved and enjoyed this evening event.